Morgantown, West Virginia – Maryland, West Virginia – Clarksburg, West Virginia – Uniontown, Pennsylvania – Moundsville, West Virginia – Washington, Pennsylvania – Wheeling, West Virginia – Bethel Park, Pennsylvania – Baldwin, Pennsylvania – Mount Lebanon, Pennsylvania – Brentwood, Pennsylvania – West Mifflin, Pennsylvania – Dormont, Pennsylvania – and some Ohio areas. Customers will find our inventory line satisifys and keeps the them coming back! With our auto, cargo, dump, equipment, gooseneck trailers, trailers parts, and, we will give you high-quality, and durability as well. Along with our superior equipment and parts, we also offer inventory specials and financial services to assist you and give you financial solutions. With our special deals and financing from Sheffield Financial, buying a trailer, on a lower budget, has never been so easy. 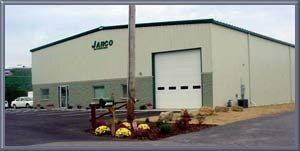 Jarco Truck and Trailer Sales will continually work for you and provide the ultimate customer service. We would never sell any truck or trailer that we wouldn’t buy ourselves. With that testament, customers can be sure that when they are shopping for trailers in Marion County, Jarco will not only be the best match, but a trusting match. For more information on our products and what we’re about, contact us at 800.498.0163 or stop by our location, 30 Gateway Drive, Fairmont West Virginia (GPS Address- 69 Middletown Road), we’d be more than happy to help you.